Protected Designation of Origin Manchego cheese in pure olive oil. 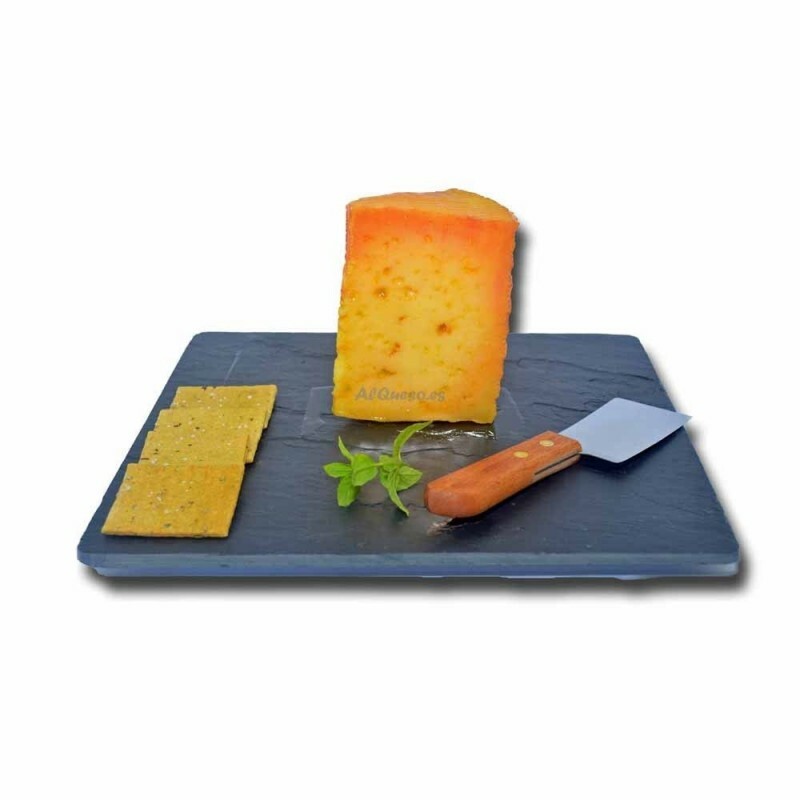 It is a cheese that, like the rest of the Ojos del Guadiana cheeses, is made in a traditional manner from raw Manchega sheep milk. It has a medium and very agreeable flavor with a hint of spiciness that warrants its preservation in oil. It comes in wedges of approximately 450 grams. Pairing Vinos blancos y tintos jóvenes. 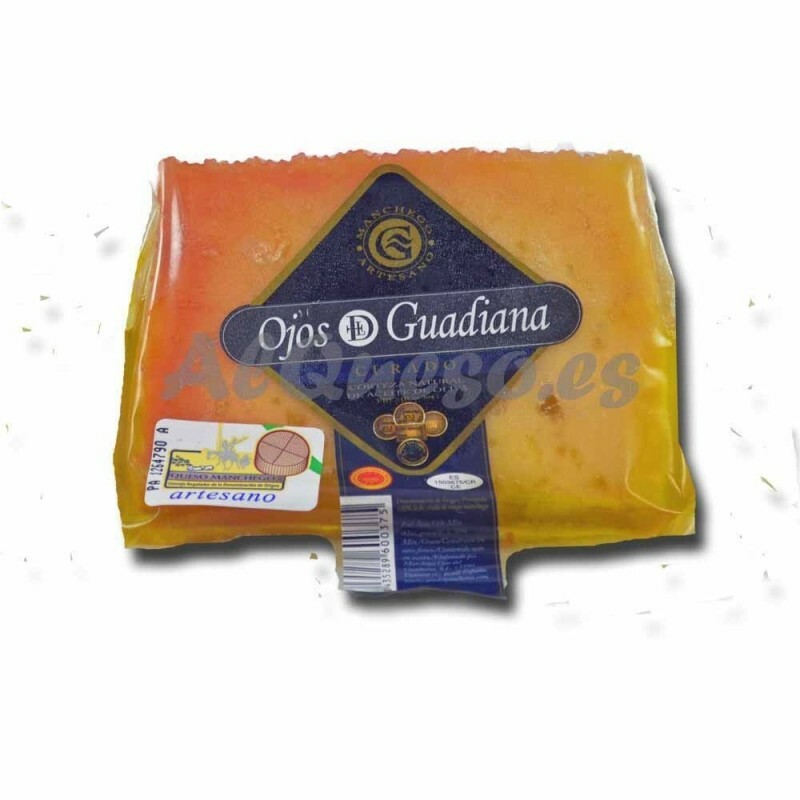 “Ojos del Guadiana” started in Daimiel in the year 1998, a result of the producers' moving desire, extensive livestock, the native breed of sheep and Manchego cheese. 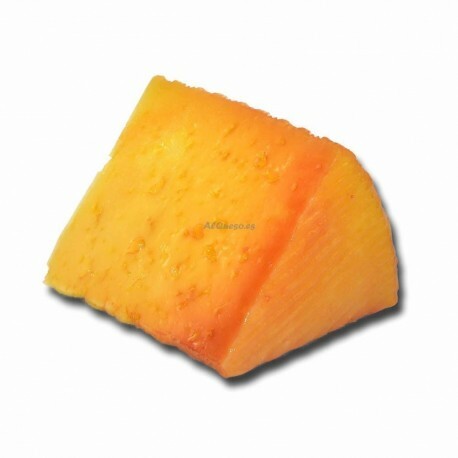 In this way a group of farmers united in order to make the best Manchego cheese. These farmers' sheep graze extensively in the protected environments of the Tablas de Daimiel Natural Park. They make it in a traditional manner, controlling all of the production process. From the production of the milk to selling the cheese. 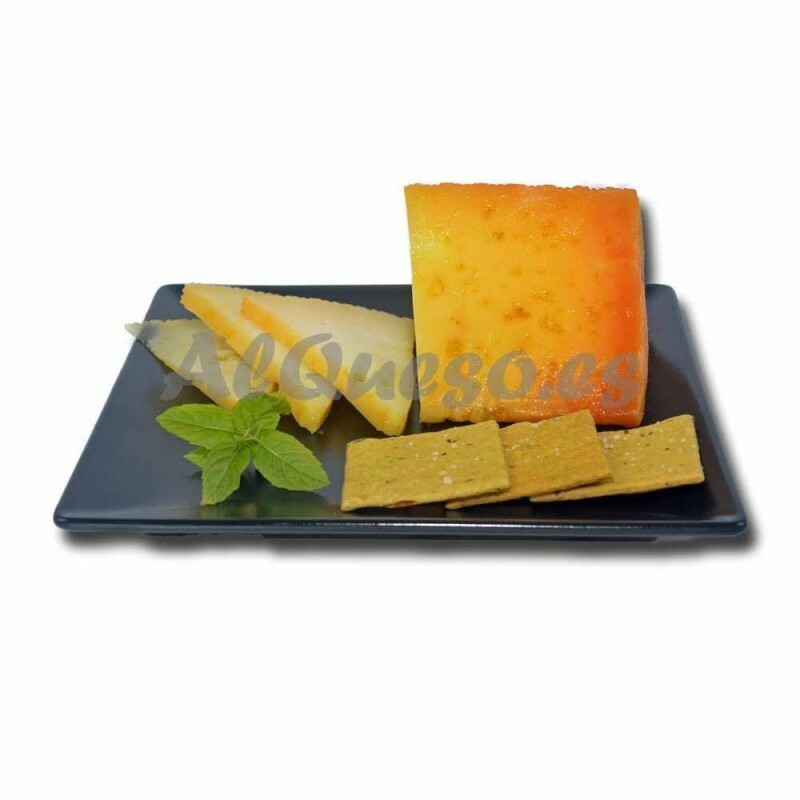 Buy it here on Al Queso, your online shop of spanish artisan cheeses. Está muy rico. Quizás un poco más elástico de lo que esperaba. No sé si será el aceite. Pero rico!